As an affiliate looking to diversify revenue streams, making money on Instagram is a great option. 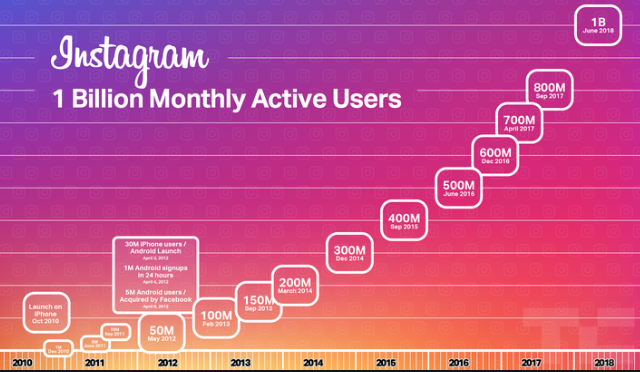 Thanks to its behemoth of growth year after year, Instagram has over a billion users and receives around 400 million visits every day. For affiliate marketers, it provides a super-sized audience which can drive sales for your affiliate products ten-fold. Don’t be excited just yet. What you post and caption has to strike the right cords for you to make money. Avoid the beginner’s mistakes and be an affiliate with a difference. 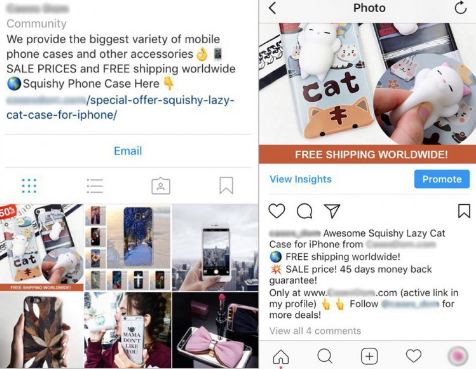 Instead of promoting products on your site and leaving a link for people to click and buy, Instagram allows you to post beautiful images of the products you want to sell, and drive sales through your affiliate link. 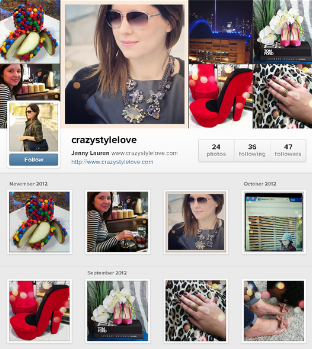 Why Instagram for affiliate marketing? 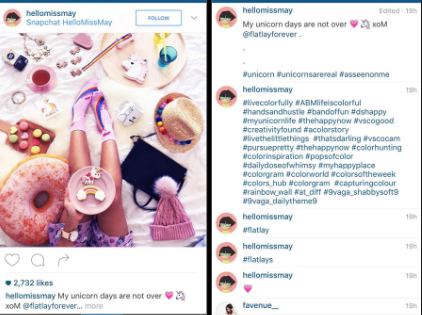 No longer just a social media platform, Instagram allows users to engage on a global level. Brands have found its user-friendliness super engaging which is a huge thing if you want to sell any product to anyone. Since its launch, Instagram now has over 8 million business profiles, and over a million advertisers use the platform every day. The numbers should tell you something because compared to other apps like twitter, snapchat, and LinkedIn; it is a close second to Facebook. Since affiliate marketing is all about promoting other people’s products, you just need to keep using your affiliate link or sign up to be an affiliate marketer either through Amazon Associates, ClickBank, ShareASale, MaxBounty, etc. Affiliate marketing is all about signing up with a company and promoting their products. It is perhaps the most renowned affiliate program with millions of affiliates. It is comfortable for beginners and experts as long as you are willing to create a unique website and tools to sell. This is a partner affiliate network. It allows marketers to use different banners for the same product to influence repetitive buys. This platform is for fashion bloggers. You earn when people shop using your link. This platform has various products in different niches that you choose to promote and earn from. These are just some of the platforms you can sign up and start earning. You can also make personal arrangements with brands and sellers, where you promote their products and earn commission. Another option would be giving shout-outs to brands and get paid for mentioning them on your posts and videos. As you choose the products you wish to promote, make sure to go with a niche that you like and find easy to stick to. Trending on Instagram needs all of you so if you want to be a shoe marketer but people know you because of nutrition you will find that going with something that people already know is better; in this case which is nutrition. When you become an affiliate, you get a trackable code or promo code. This ensures that every link is converted to sales. 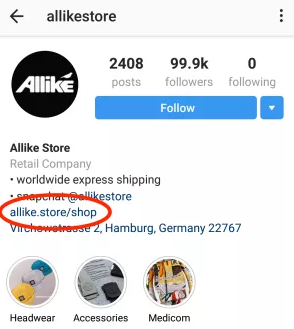 On Instagram, you are allowed to add only one organic link to your account. But there are a few ways around it which we’ll discuss here. Because of the one link drawback, you’ll want to leave your website’s URL or your best product’s link on your bio. Then you can use our other tricks on other specific products you want to promote. The bio is the space where you pitch to your visitors. Be direct and simple. An interesting bio also has emojis. And, do not stick with only one link, keep changing it to your best-selling products which adds variety. When you post a photo, include the affiliate link of your product to encourage people to click and get the product. Every time you describe a photo, be sure to also leave a link, a call to action, promo code, and coupons to make it easier for people to access your website or brand’s website to complete a sale. Another way to get people to click is to include coupons as text overlays in photos. IG has paid posts for promoting stuff using influencers. You can pay to advertise your affiliate link or your Instagram account in your shout-outs. Obviously the bigger they are, the more promotions will cost. The best way to this is by creating an image post of your account or a product image that includes an affiliate link as a text overlay. It immediately introduces you to a new, larger audience since influencers create awareness. And for obvious reasons, they tend to have more followers than affiliate marketers. To scale the process you need a tool like Heepsy. Heepsy lets you search Instragram profiles and filter them by bio search, category, location, metrics and whether they have an email on their account. For the metrics you can choose the minimum number of follers and more importantly by engagement. You can grow accounts using automated tools like Jarvee, but its a ball ache to set up and they can get banned so easily. You can also just buy an existing account that has engagement from places like Socialtradia, but you need to be super careful. Most of the time the engagement metrics have been manipulated via engagement groups; when you take over the account your new posts get no engagement. If you want to go down the pure whitehat route and grow your account cleanly, here are a few tips. Hashtags provide an easy way, to sum up, a product. It is an excellent way to get more engagement, and Instagram allows more of it than links. You get to use up to 30 hashtags in one image which is a lot, and it can look messy. That’s why we suggest using up to 15 hashtags in your posts. Building a considerable following means not just getting the numbers up but also having a high engagement rate. Consistency is key here. Statistics show that people who post several times a week or every day have a higher engagement rate than people who don’t. Again, on consistency, we can’t emphasize enough on sticking to your niche. Being all over the place can piss off potential buyers. You want to be the person people look up to when they want to get a specific something because they are sure you can get it. Building a following also involves following back and promptly responding to comments. 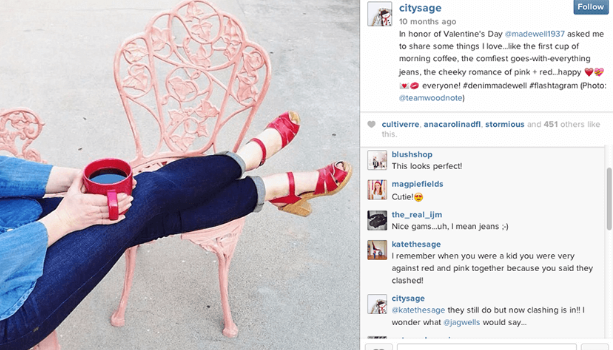 Interacting with other IG users will get you noticed which is what you want to improve conversion. We are visual animals, and Instagram has made it so that a bad photo can be very unforgiving. That is why all your images should grab attention. Don’t just post a pair of running shoes, post someone running in the sneaker. Posting a product being in use will get people to know more about the product which in turn influences clicks and conversion. You have tried attention-grabbing images, and it has worked great. Don’t stop there, use carousel posts which is a creative way to share several product photos in one post. It creates a cohesive image which can create a buzz and contribute to your end goal. Don’t underestimate the power of a live video. Statistics show that 80% of IG users would rather watch a live video than read through a post. It is more appealing and allows you to stay at the top of your game. Live videos bring life to your posts, and followers get first-hand information on something they are interested in buying. Some of the ways to use live videos include teasing product launches, interviewing influencers, showing what happens behind the scenes in your affiliate marketing journey, running tutorials and how-to-do stuff, creating a buzz about an upcoming event or updating a live event, running a contest, and showing how to use a particular product. You never know. Your pitch may influence a couple of people who didn’t think they wanted the product in the first place. And the best thing with live videos is that you can have someone else do something and you narrate. 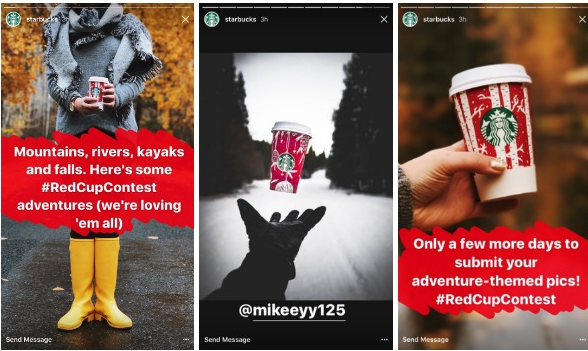 Instagram stories are another great way to entice buyers. An estimated 500 million people use Instagram stories every day. It allows you to post videos and photos that vanish after 24 hours. IG stories are discoverable such that people who don’t follow you can see your story. Also, there’s a way to add hashtags to your story such that when someone is searching using a hashtag, your story with a hashtag will appear in their feed. And if you have over 10,000 followers, you can include an outbound link which can send people directly to your site or company’s site. An essential aspect of using Instagram stories is by tagging other users. It makes them feel valuable, starts conversations, and builds relationships. Instagram stories are also a nice way to show your face and help people relate to you and the things you love. It can be the place where you create hype about the product before a company launches it. And if you wish to use your IG story again, be sure to use the download feature before they disappear. We get that you want to turn links into sales. But overdoing it will piss people off. You want to create an experience when people visit your account. That’s why using fewer links pays off in the long run. You can now have an Instagram business account or switch your account to a business one. It allows you to use business features to tailor your account into a selling machine. • To switch, tap into your profile and tap settings. It will give you options to switch to a business profile. • Tap and then click continue. At this point, you’ll want to link your account to another social media business page like Facebook or LinkedIn. • Add your contact information which must include a physical address, email, or phone number. • Click done, and you have yourself a beautiful business account. Instagram business accounts give you access to Call-to-Action, analysis on who’s viewing your account, and better use of Instagram ads. Instagram is a great way for affiliates to make money. But it needs dedication and hard work. As long as you stay consistent and use the tips we have outlined here; your efforts will pay off.